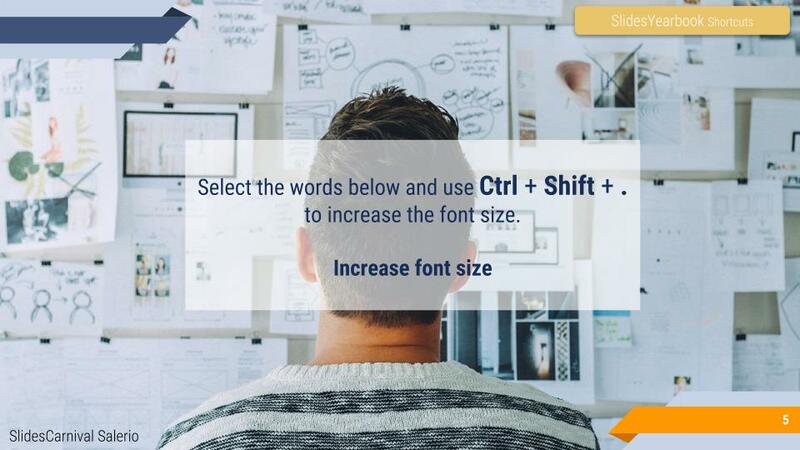 Google Slides shortcuts make graphic design even easier. 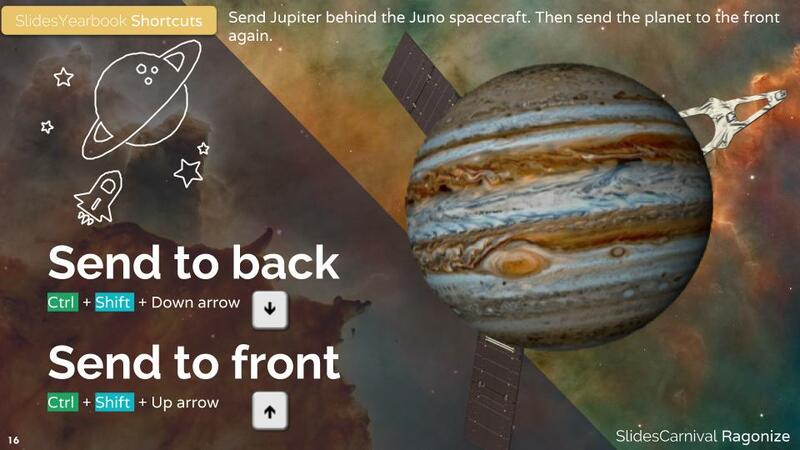 Many of these shortcuts can also be used in Docs and Drawings. 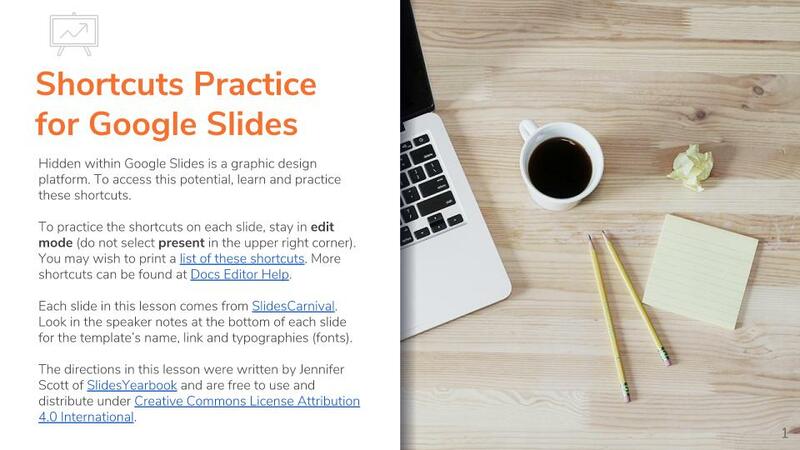 Click here for a one-page list of Common Actions & Text Shortcuts in Google Slides. Select Use Template. If you use a Mac, click here for the shortcuts. Learn these valuable shortcuts with the hands-on practice activity posted below the list of a few favorite shortcuts. Or just jump to the practice now. Use CTRL + Shift + . The period increases font size while the comma decreases it. Think of j for Jen. Jen and Katie make an incredible team so use k to increase the image size. 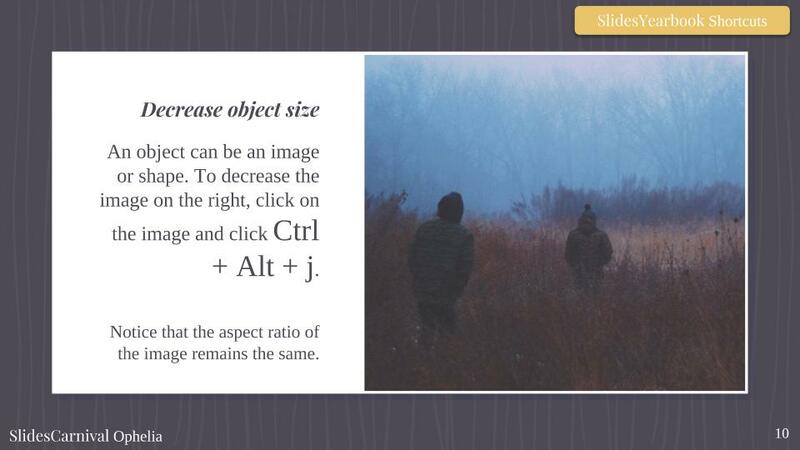 Select the image, text, or object. to access the Format options menu. The opposite of the down arrow is the up arrow. Open Shortcuts Practice for Google Slides. 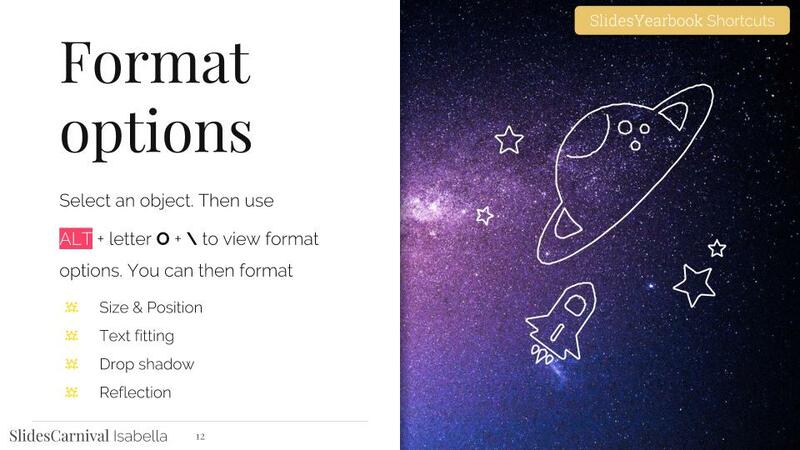 Google Slides is more than a presentation app. 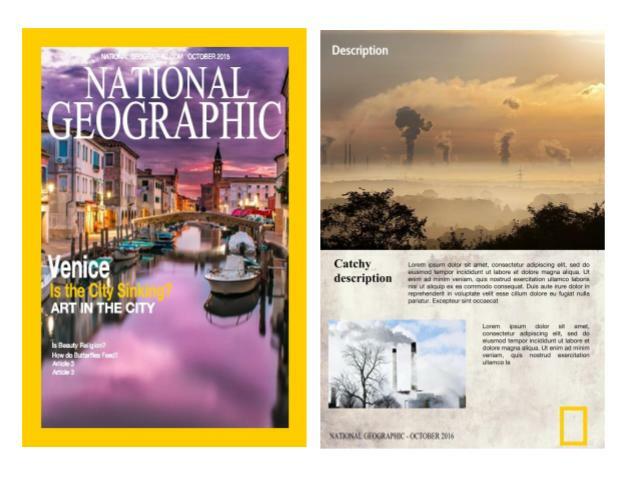 In fact, Google Slides can be used to create magazine covers, movie reviews, and more. In the next lesson, you will do just that.